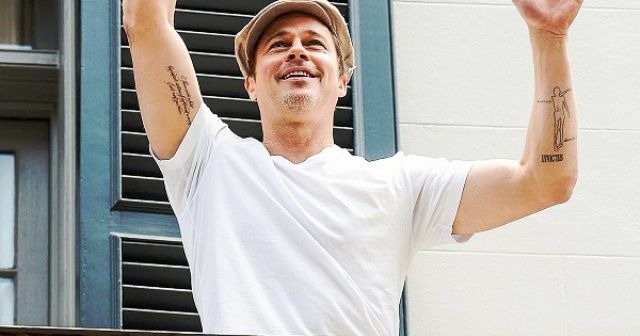 Body Art, especially, Tattoos are leaving an indelible mark in society, and the trend of embedding them on the skin is flourishing every morning. The tattoo market is increasing at an incredible rate. One of the key thing that has changed is the demographic of the people who are getting a tattoo. 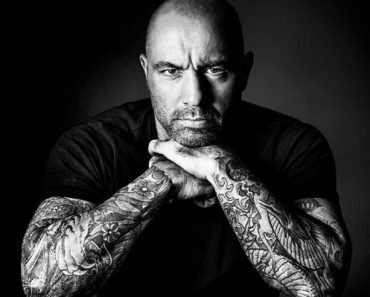 Earlier the tattoos were associated with a particular outgroup or religion, and it was considered that there is a link between tattoos and depression. But, nowadays, every next individual is getting inked, and people buy them just to feel fashionable and noticeable in society. Considering the famous saying, ‘Tattoos is what we take with us to the grave,’ is an ideal picture we think before getting inked. Moreover, we should smartly pick the tattooist to get the best and desired results. 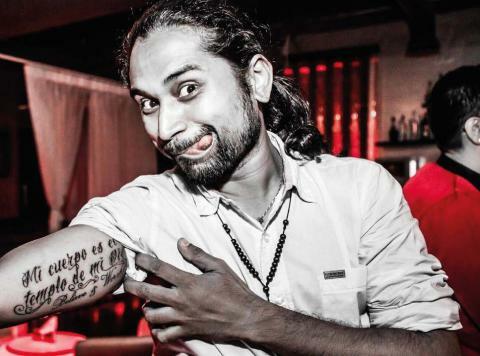 Here are the best tattoo artists from Mumbai. 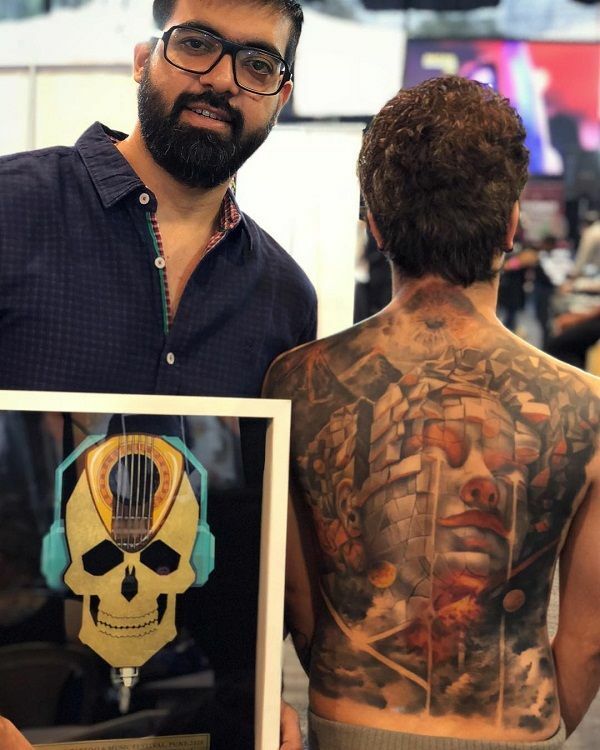 16-time Award Winner at International Tattoo Conventions, Eric Jason, runs Iron Buzz Tattoo studio in Mumbai which is ranked as the best tattoo studio in Mumbai by GQ. He is credited for having bespoke tattoo art and tattooing technique. Eric is also featured by Google, Skoda, Buzzfeed, and GQ India for his varied expertise in Art and lifestyle. 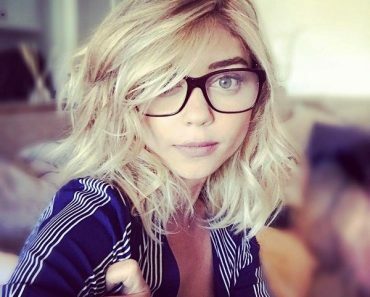 He founded his studio in 2013 and traveled across the world to learn new techniques and sketch his talent. Artistic, skilled, imaginative are some words that aptly describe this tattoo artist, Zaheer Chhatriwala, has studied graphic designing and fine arts. He joined Krayonz tattoo studio and worked there for 3 years. Now he owns Studio Z, founded in 2011. 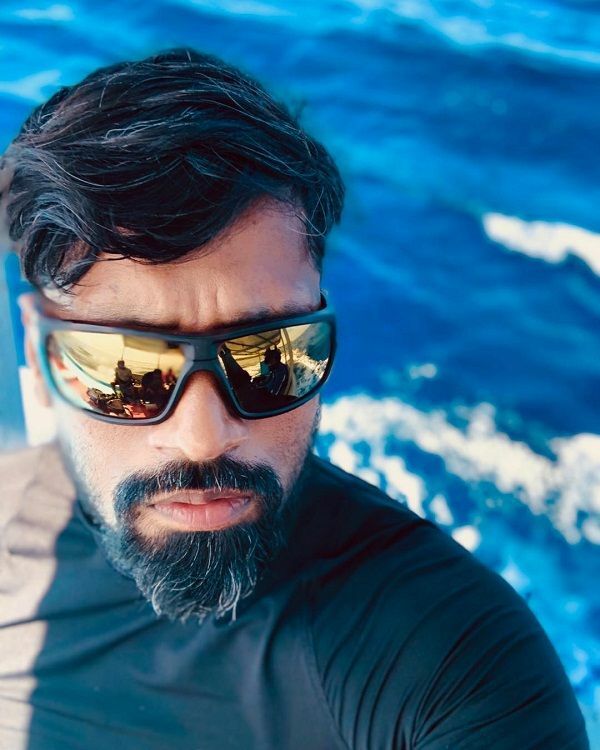 Studio Z is his personal studio, he is running with his wife, who is a makeup artist, Pallavi Jain.“People largely come to me through word of mouth so they know the kind of work I can offer,” explains Zaheer. Sunny Bhanusali is known throughout the world for his photo realistic tattoos; mostly those are based on Hindy mythology. He is one of the artists who bring realistic tattoos to the world and has also has won many awards in international conventions. He is the founder of Indian’s first Tattoo School which is Government recognized called Aliens Tattoo School. He has been featured in London’s top tattoo Magazine, i.e Total Tattoo Magazine. He runs Aliens Tattoo, not only in Mumbai but also in Bangalore and Calfornia too. He has inked many celebrities including Virat Kohli. 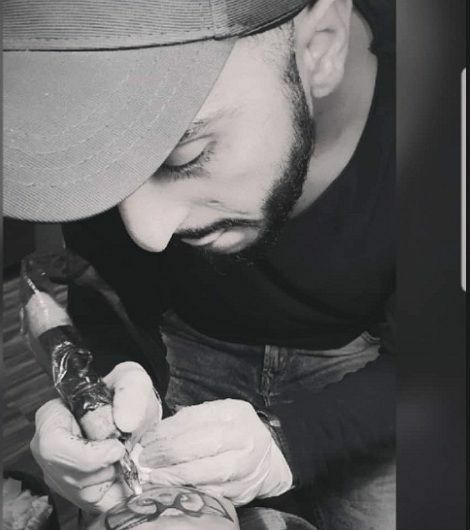 Sameer Patange, a celebrity Tattoo artist, has started tattooing from the tender age of 18, his journey at that time was not smooth even, he enrolled many of his own tattoo styles and was approached by Limca Book records to title him as youngest tattoo artists of his time. At the same time, he had the honor of being covered by BBC who made a small documentary on him and emerging tattoos in India. 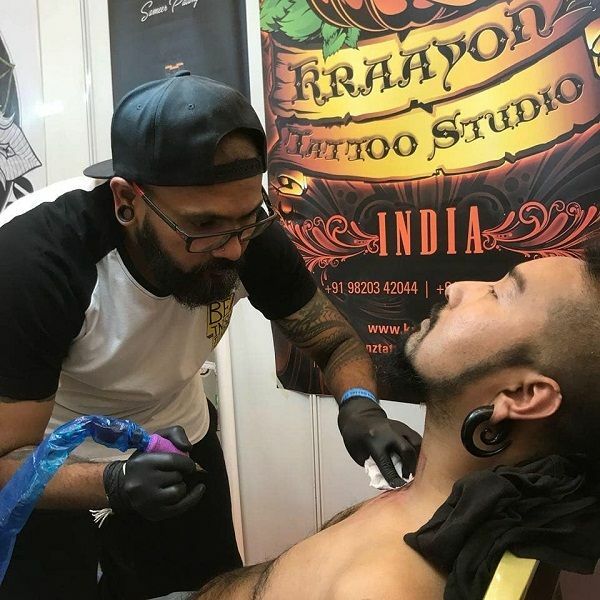 He was picked up to represent International brands of tattoo products in the country, thus becoming one of the first artists to Endorse any sort of brand, for tattooing products in India. He successfully runs a chain of tattoo studios under the brand name KRAAYONZ STUDIOS which has 3 branches across the country. He has inked many Bollywood actors including Salman Khan and Hrithik Roshan. Chirag Jhala is one of India’s most experienced and sought after tattoo artist. He has inked many public figures of Bollywood. Chirag is known for his extremely freestyle and colored pieces. Chirag has become one of the senior and respected artists in the industry. He found Inks and Needles in 2007. And today he is working with two more artists in his studio, Rahul Iyer and Kiran Patil. He is the founder of the Body canvas Tattoos and piercing. Vikas is inspired by his mother, who was an artist. He was trained under a Spanish tattoo artist, Lydia. And finally, in the year 2003, ‘BodyCanvas’ was launched. He has an ultra specialty of unbelievable super-sonic tattooing speed along with perfect finishing. He runs his Studio with his brother Mickey Malani and with other artists. Address 1: A102, Gagangiri, Union Park Road, Carter Road, Above Mad Over Donuts, Bandra West, Mumbai, Maharashtra 400050, India. Address 2: Body canvas, shop no 2, Bhoomi castle bldg, opp goregoan sports club, Malad link road, Malad(w), Mumbai 400064. Sudhir says, “Remember that tattoos become a part of you, so get to know yourself and then come to see us for some body art!”. He is famously known as Wizard. His art is nothing less than mesmerizing and mindblowing. He was inspired by his grandfather, who was an oil painter, he started sketching at a very early age. He begins tattooing in the early 2000s and joined Body canvas in 2008. 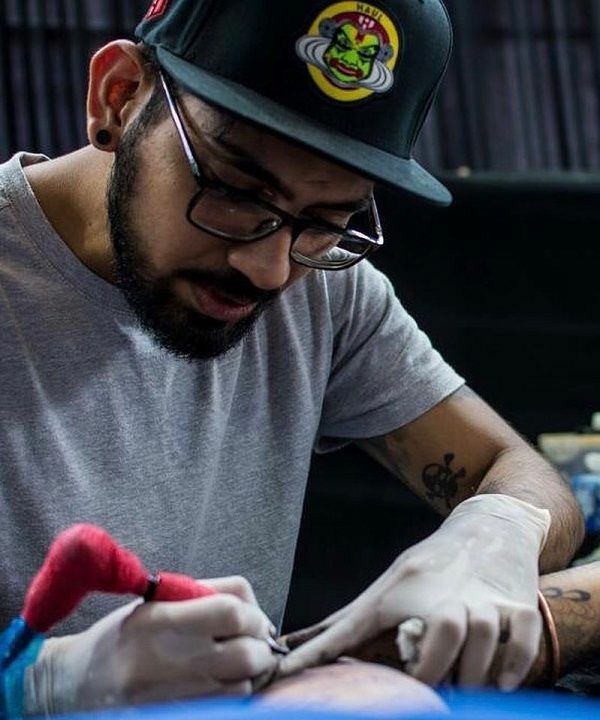 Amritraj Sachdev has grown his interest in sketching into tattooing at a very early stage. He took up a course of tattooing from a freelance tattoo Artist in Mumbai. He has a specialty in combining realism with his abstracts concept. He founded Insane tattoos around ten years ago. He now owns two branches of Insane tattoos in Mumbai. Olly Alva along with his two brothers, Arun and AJ Alva has been running their studio for two decades. It is one of the oldest tattoo studios in Mumbai. He has inked many Bollywood celebs, including Milind Soman, Shilpa Shetty, and Sakshi Dhoni. Address: Natraj Shopping Centre, 68 Hill Road, Opp. St. Peters Church, Bandra (West), Mumbai, India.